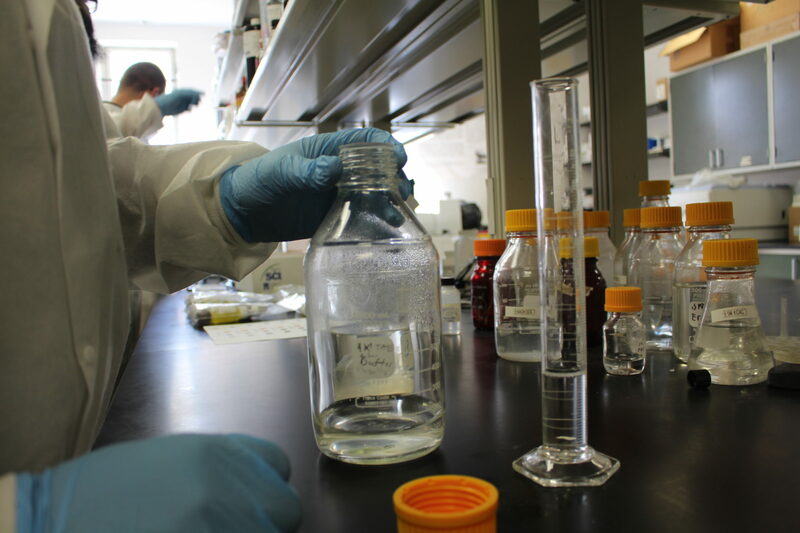 The Biology Program seeks to prepare students for careers in the Biological Sciences. The curriculum in Biology is designed in general, to prepare students for employment, graduate studies and for productive lives which require an understanding of the scientific method of investigation. The Department offers a rigorous program leading to the Bachelor of Science in Biology. Outcome #1: Upon completion of the B.S. degree, the student will be able to make oral presentation to describe the characteristics of living organisms. Outcome #2: Upon completion of the B.S. degree, the student will be able to use data analysis methods and instrumentation including computer systems to solve problems in biological science. Outcome #3: Upon completion of the B.S. degree, the student will be able to think critically when using the scientific method to study the natural world. Outcome #4: Upon completion of the B.S. degree, the student will develop writing skills to explain the classification system for the organization of life. Outcome #5: Upon completion of the B.S. degree, the student will be able to read and understand materials involving scientific terms used in the biological sciences software and technology. The student must complete and submit the “Formal” application for admission into the program. The application must contain the student’s full name, classification, GPA, address, and phone number. The student must have a GPA of at least 2.0. The student must have passed General Biology I, with at least a C grade. EWC transfer students must satisfy the same General Education requirements as a first-time-in-college student. The State of Florida Foreign Language requirement must be met prior to graduation for all students.